Timing Issues With Your Project? This can happen more often than you might think. Plugins add latency and change the way things feel and sound. You may have played to a click track but now your drums don’t match your bass…what the heck happened? We can fix that! We tighten up bass and drum tracks to give you that polished sound. Heck, we can actually tighten up all the tracks so they groove together. Guitars Or Vocals Out Of Tune? We know you spend a great deal of time making sure you have things in tune. But sometimes that perfect take is just a little off. Crap! Now what? We can tune your guitars or vocals even after you’ve recorded your music…it’s Fricken’ Magic! Send the offending file to our music production studio here in Spokane, Washington and we’ll fix it right up. You’ll find our prices are very competitive compared to the other Spokane and Spokane Valley recording studios open for bookings. with any of our services. 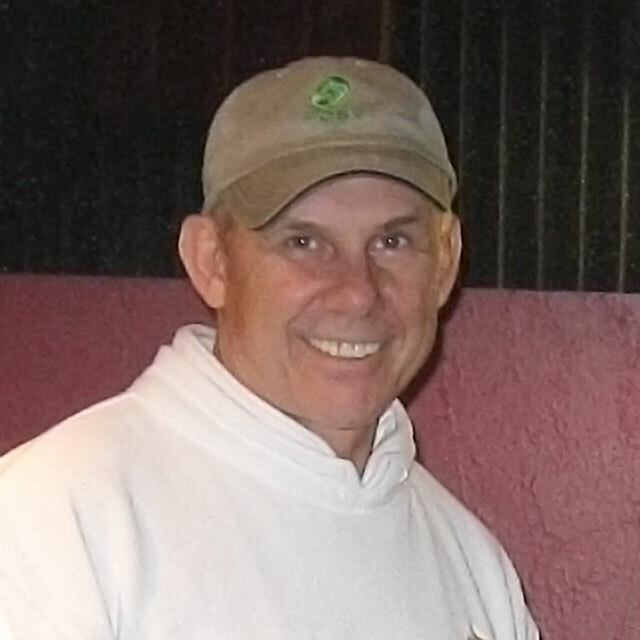 Mike is the owner and operator of a full service local recording studio serving Spokane Valley in Spokane County and based in Spokane, Washington for over 18 years. His music recording, music production, and live sound engineering experience span almost four decades. Whenever I’m speaking with potential clients searching for a professional recording studio, they all want to know exactly what I can for them in the studio. Let me share with you some of the most frequently asked questions. I’m a songwriter and don’t have a band. Do you have a way to make it sound like I have a full group of musicians? I’m tired of having my tracks sounding average or weak, and not like what I hear on the radio or when I stream. Can you fix that? My recorded guitars sound screechy or thin. Can you fix that? My instruments/vocals are out of tune. Can you fix that? When we recorded at home, we didn’t play to a click and got off time a bit. Can you fix that? The vocal tracks we recorded sound dull and uninviting. Can you fix that? I have a song and I just need someone to help me arrange it. Can you do that? I write lyrics but need to put them to music. Do you do that? Do you record full bands? I record at home, but my tracks don’t sound like the radio. Can you fix that? I’ve recorded at a big studio but couldn’t finish my project because the cost was too high. Can you help me? I have a song almost finished, but I’m in need of additional instruments? Can you do that? I had my songs recorded by a real beginner and got less than stellar results. Can you fix that? I want to record my gig live. Can you do that? I have multi-track audio and video we recorded live. Can you remix the audio and edit it together with the video? Do you teach recording and mixing one-on-one? Can you teach me to use my music/recording/DAW software? What Are Your Rates? Do You Have Package Pricing? Yes! See the pricing table near the top of this page. The answer to all of these questions about whether I can help or not is a resounding YES! In fact, I specialize in all those areas and much more. In all my years as an artist, recording engineer, live mixing engineer, producer, studio owner, manager, and audio instructor, I’ve come across many challenges we all face as we learn our craft. I’ve found even though you must be well-rounded and at least know what’s lacking, or what’s good regarding the skill level of your craft, along the way you need a mentor to take you to the next level. You need someone who has the experience you don’t yet have, someone who knows where the weak points are in your recordings, track mixes, and yes, even your live performances. It all starts with coming to know your capabilities. Yes, it’s essential to be able to record your own songs, to retain ideas, to remember a song you’re trying to perfect, and generally work on your personal style. However, to learn the craft of making recordings, and mixes, that “sound like a record” takes years to hone to perfection. Do you want to spend your time learning how to twist knobs at the music recording studio mixing console, or perfecting your songwriting skills, rehearsing for your next live event, and making a career of your music and artistry? Every artist should be able to record decent tracks of themselves or their band. Now, take it to the next level of excellence by bringing it to a professional at a recording studio serving the Newman Lake, Washington area to get the huge sound you’re looking for. We use the most up-to-date audio and engineering equipment, which we put to work for you with our 37+ years of experience. By adding the appropriate effects, manipulating the audio frequencies, and correcting phase alignment, you’ll get that huge, spacious sound you’re looking for. That’s precisely what I do for you, and at a surprisingly affordable rate. I’ve worked with thousands of artists in every style of music. Thanks to the Internet I’ve worked with musicians from around the globe in every facet of the recording process, e.g., mixing, producing, remixing, tuning, songwriting, correcting phase coherence, and time alignment. These are one of our crown jewels in the Control Room of Studio A. The Adam S3A Studio Monitors. You won’t believe how good your tracks sound through these! These are used by premiere recording studios around the world. They’re extremely accurate, which allows us to get the best mix possible for your project. Are You A Solo Artist Looking For A Music Recording Studio Serving Newman Lake, Washington? Over the last few years I’ve noticed there are more solo artists than ever. Many of them want to feature their original songs the way they hear them in their heads, with full production with live musicians. I love this! It gives me the chance to not only help them accomplish their goal but actively participate in it. Often I’m most of the musicians on a project as I play multiple instruments. You don’t have to look far to find most of your studio musicians! I also have a full selection of other professional studio musicians ready to perform on your studio project for a reasonable fee. Here’s how it works. The artist lays down his or her song on whatever instrument he or she plays to a simple drum beat, which I use as a click track here my song recording studio. We discuss what their vision is for the song, and that’s all I need to get started on the arrangement. First I start with the primary instruments making up the sound and style of the song. After that’s complete, I’ll send them a test copy of the song, or they may come into the studio to listen (which I prefer), to see if we’re on track. At that time I’ll have them play their parts separately, one track at a time. Instruments come first, then vocals. This way I have independently recorded tracks without the cross bleed of instruments and vocals leaking into each other’s microphones. After this has been accomplished, I’ll bring in other studio musicians to completely finish the song, or I’ll fill in all the parts by playing them myself. It depends on the artist’s budget. Some may not have the room in it for additional musicians. I provide a considerable discount when I can fill all those areas myself. Contact us and let’s explore the options for your next song or album! Are You Looking For A Hip Hop Or Rap Recording Studio Serving The Newman Lake Area? Many local rappers and hip-hop artists call SRS their home. We offer a comfortable environment where you can be creative and let your rhymes flow. If you need beats, we have producers standing by to create the PHATTEST ones you’ve ever heard! Once you’re comfortable behind the microphone in the studio it isn’t unusual to record, mix, and master rap and hip-hop tracks all in the same day. Now, let me explain how my rates can fit the budget of any musician, songwriter, or singer. Like most recording studios in Spokane County, I charge by the hour, which is great for the artist who has one reasonably simple song, or for an artist who just wants to record their song, so they have an MP3 to register a copyright or get a few views on YouTube. The best deal comes from my affordable package pricing, or even better, my all-day inclusive price. Most artists choose the all-day inclusive price as it allows them to work at their leisure without having the added pressure of watching the clock. As a musician myself, I hate to feel rushed while trying to be creative. If you combine that with a very comfortable atmosphere, excellent production quality, and seeing your project move forward, creativity will undoubtedly rise to the occasion. Remember, gear alone doesn’t make great sounding productions, people do, instruments do, and creative ideas do. When artists come in to record in our facility, I want them to continue making great music. It’s a journey, not an event. These are the main reasons I chose this profession. 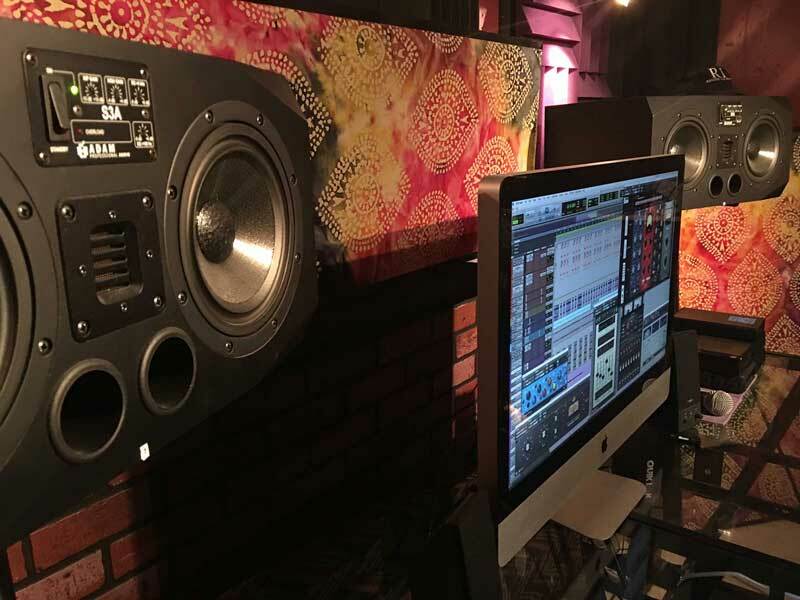 I work out of my large home studio and get the pleasure of making great music for and with my clients, which includes seasoned Nashville stars, national startups, local talent, as well as someone who’s just beginning their career. It’s indescribably rewarding when I see someone with whom I’ve worked from day one, move up in the industry and know I was a part of that. Whether your project is large or small, an audio recording, one song, a whole album, or a music video, contact me today and let’s explore the possibilities for your next project here at Spokane Recording Studio! "Thank you, Mike, for putting your heart into this project and recognizing that this song could open so many doors for all of us! We appreciate everything you have done, you’re the GREATEST! I say it twice, you’re very creative! You totally grasped what I envisioned. I’m so glad we found you!" "Thank you for taking my project to its completion. You were great to work with and I appreciate your talent and professionalism. I loved your Spokane recording studio. It was very comfortable and well equipped." "WOW! You brought my songs a new life, Michael. The musicianship of you and others that you used to play on my album went way beyond my expectations. You made me sound like a pro. Thanks a million." "Mike has been an enormous help in teaching me the basics of music recording on up to the inner workings that I never knew existed. I was new to recording with Digital Audio, but working with Mike at his Spokane recording studio has taken me from the very basic recording techniques to advanced techniques I’d have never learned on my own. "If you’re serious about recording and want to learn from the best in the area, give Mike a call. His professionalism, knowledge, and experience of being not only a producer and engineer but also an outstanding musician are priceless." 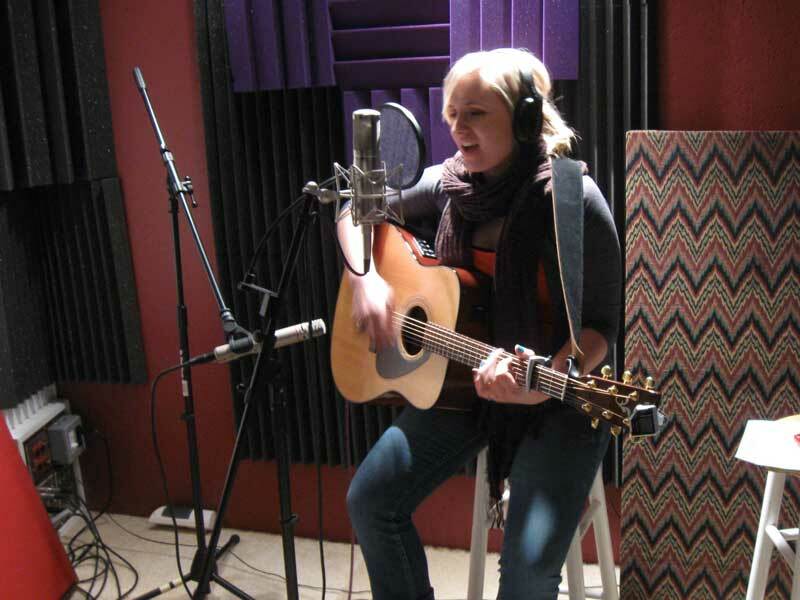 "My experience at HitStreet Records’ Spokane recording studio was definitely career-changing for me. Michael is a great producer and made my project perfect for my fans and me. The sound quality of the equipment is absolutely amazing and you leave the studio with a professional sounding recording. "They don’t just produce your CD and send you off. Along the way, I learned so much about the music world and how to have a successful career. All the connections and knowledge they gave me is something I could’ve never done on my own."